Michael Avenatti. Photo from Shutterstock.com. The lawyer who hurtled into the public awareness with his representation of adult film actress Stormy Daniels was arrested Monday on criminal charges filed in New York and Los Angeles federal courts. Michael Avenatti was charged with extortion and conspiracy in New York for allegedly trying to extort millions of dollars from Nike in exchange for his silence on what he claimed to be damaging information. Axios posted the March 24 complaint. In Los Angeles, Avenatti was charged with wire and bank fraud for allegedly misappropriating $1.6 million from a client and for allegedly submitting fake tax returns to a Mississippi bank to obtain $4.1 million in loans. A press release is here, and the complaint is here. Avenatti was arrested in Manhattan early Monday afternoon about 15 minutes after he tweeted that he was having a press conference to disclose a major high school and basketball scandal perpetrated by Nike, CNBC reports. The Washington Post and the Wall Street Journal also have coverage. According to CNBC, Avenatti was arrested at the New York office of Boies Schiller Flexner. The Wall Street Journal reports that Boies Schiller is outside counsel for Nike, and the law firm reportedly contacted federal prosecutors about the alleged extortion. Avenatti said his client was a California coach who had evidence that one or more Nike employees had funded payments to top high school basketball players, prosecutors said. According to the complaint, Avenatti offered Nike some payment choices. Nike could pay $1.5 million to his client for failing to renew a sponsorship contract with an amateur athletic union men’s basketball program. At the same time, the company could pay Avenatti and a co-conspirator up to $25 million to conduct an internal investigation. Instead of a signing a retainer agreement for Avenatti’s services, Nike could pay a total of $22.5 million to resolve the client’s claims and buy Avenatti’s silence, Avenatti allegedly said. In Los Angeles, federal prosecutors say Avenatti negotiated a $1.6 million settlement for a client in January 2018, then used the money for the expenses of his coffee stores, his law firm and himself. Avenatti’s coffee business, Global Baristas, operated Tully’s Coffee stores in California. Avenatti is also accused of submitting phony, inflated tax returns to obtain loans for his law firm and coffee business from the Peoples Bank in Mississippi in 2014. 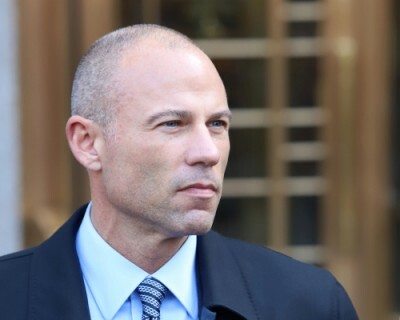 Avenatti had represented Daniels in a suit against President Donald Trump to invalidate a confidentiality agreement. Daniels fired Avenatti last month.